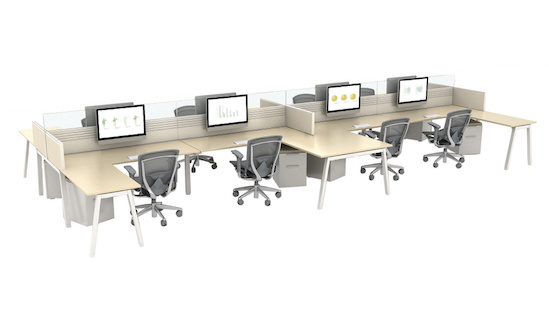 There’s a lot more to buying office furniture than you might think. With just a little extra planning, you can avoid mistakes and be sure you’ll pick the furniture and the dealer that’s right for your business. The old saying, draw twice, cut once certainly applies to buying office furniture. In fact, without a good plan, you might select the right furniture, but it won’t work the way it should because it wasn’t drawn and specified properly. 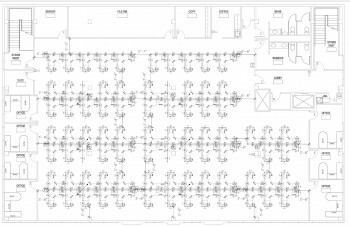 Through the exercise of creating a good drawing of your new space, you’ll more accurately assess the needs of your workers. You’ll also analyze your existing furniture and learn which pieces of your old furniture might work fine in your new plan. You’ll also be forced to slow down and be more deliberate in your furniture selection process. A good drawing and furniture plan will also let you see exactly how your new space will look. You’d never buy a car before taking it on a test drive, so why would you buy an office chair before sitting in it for a work day or longer? It’s also a good idea to have a fair representation of your associates try the chairs as well. Comfortable workers are more productive and happier workers. 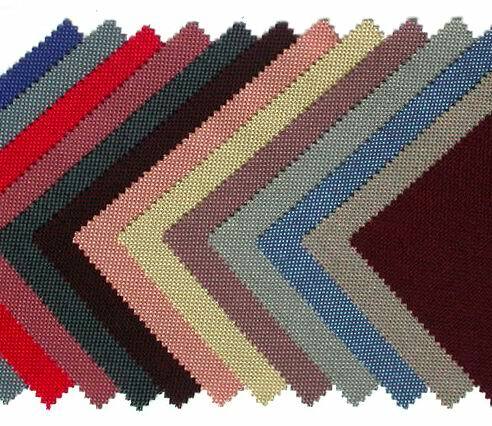 Fabric is usually the first part of furniture to show wear and tear. More durable and clean-able fabrics like Crypton and vinyl will be much easier to keep clean and last longer in high use areas like lobbies and break rooms. Mesh fabrics that are durable and allow air flow to the skin are excellent for work areas. Leather and soft, leather-like fabrics can dress up a conference or boardroom. It also pays to stay away from overly trendy fabrics. Trends come and go quickly, plus these fabrics are much more likely to be discontinued by the manufacturer which means any new chairs you add won’t match your existing chairs. If your furniture dealer is only interested in selling you new furniture, you’re not working with the right dealer. A good, full-service furniture dealer will be there to help you throughout the life cycle of your office furniture. They’ll work in your best interest and look for creative ways to reuse as much of your existing furniture as possible. In the event you do decide to buy all new furniture, your dealer should offer a solution for disposing of your old furniture that is both economically and environmentally responsible. This may include buying it back or giving you a trade credit against the cost of your new furniture. They will also coordinate the removal of your old furniture with the installation of your new product. While it’s always good to plan for the future, it’s not good to buy more furniture than you really need. The manufacturer probably won’t stop making your brand of furniture which means you’ll always be able to place another order when you need more. If the dealer is telling you to buy more in order to take advantage of a temporary deep discount, ask them to extend the length of your agreement to one year or more and get it in writing. You’ll want to have this conversation before you place your order, so there will be plenty of motivation to throw in an extended term for your discount. It’s a lot easier to order more furniture than it is to sell furniture you bought but never needed. The initial cost of the furniture is just the starting point. You also need to factor in freight, taxes and installation, including completion of the final punch list. You should also review the product warranty with your dealer. Ask if both labor and parts are provided in the warranty. If a chair stops adjusting up and down, will you be responsible for any costs to fix it? All added fees or potential fees should be factored into your decision. Often times, the least expensive furniture ends up costing the most. If you’re not buying new furniture and just reconfiguring your old stuff, it’s perfectly reasonable for a dealer to charge you for the designer’s time. However, if you’re spending a chunk of change on new furniture and the dealer wants to hit you with fees to provide a furniture plan and specification, you need to look around. A dealer needs a furniture plan and specification to place an accurate order and install the furniture. This is part of their normal work process and is a cost of doing business. When the economy tightened in 2008, many dealers started charging their customer’s for basic design services that had been value added for years. In many cases, furniture dealers need to decide if they want to be a design firm or a furniture dealer. It’s fine if you’re buying very little new furniture and want to engage your dealer’s design expertise, but you shouldn’t allow any double dipping. The dealer needs those furniture drawings as much as you do. Some dealers save costs by requiring their salespeople to also manage their client’s furniture installations. Big Mistake. Very few salespeople have the experience and attention to detail that you need for a smooth, punch list free (or very close to it) installation. Salespeople are great with people. Not so much with parts and pieces and office furniture has a lot of parts and pieces. Before you sign off on your new office furniture, be sure to ask who will be handling all the details of your installation. 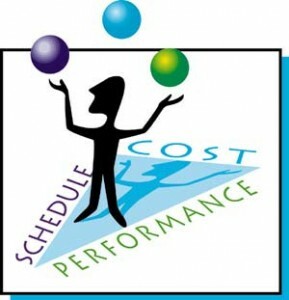 An experienced and thorough project manager is a necessity not a luxury. During the initial installation, it might not seem like such a big deal to work with a third-party furniture installer. However, the problems come later when you need small repairs done or a few changes made in a hurry. Those dealers are just another customer to the installer and you’ll have to wait your turn in a long line of other dealers and their clients. Technically, you’re not their customer and you didn’t buy furniture from them, so your happiness is not the most important consideration. Third party installers are also a problem with repairs and warranty claims. Someone has to pay for every trip an installation company makes to your office. Your dealer may not want to pay for every trip. If not, who pays? Typically, those dealers will “bundle” your service requests in order to save trips. That may mean you wait for the service you need. All companies experience turnover. What happens in a few years when you need to add some chairs or a few new pieces and your representative is no longer with the dealership? Your old orders might still be in the system, but maybe there were changes made that don’t show up in the system. If you’re buying more than a few pieces of furniture, it’s always a good idea to keep an organized file of all your standard pieces and finishes. You’ll refer back to it many times and be assured that every order you place matches your existing furniture. You picked standard finishes for a reason. Why not make sure those standards are followed in the future? When you buy office furniture, make sure you find a dealer that has the infrastructure to provide you with the service and resources you need. With over 15 years of experience, Team Office has built a strong reputation for a full menu of services and the experienced and friendly staff to deliver them. This entry was posted on January 29, 2014, 2:56 pm and is filed under General Information. You can follow any responses to this entry through RSS 2.0. Responses are currently closed, but you can trackback from your own site.